Are you living the life you've always dreamed of, or have you settled for being less than truly happy? Do you secretly yearn for love, for freedom, for abundance, for peace, or for purpose? This short book contains the secret to finally creating the life you want. Are you ready to take back your power and become the author of your own destiny? At the darkest moment of his life, Mike Murphy was shown a simple yet powerful method for manifesting his heart's desires. He used it to change his own life: A broke, desperate, divorced, alcoholic young man became a wealthy businessman, loving husband and father, and passionate philanthropist. Now he shares the precise process that enabled him to make this extraordinary transformation. 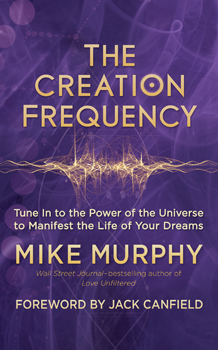 In these pages, he will teach you how to tune in to the vibration at the heart of the Universe - the Creation Frequency - and use it to create lasting fulfillment, prosperity, and happiness.